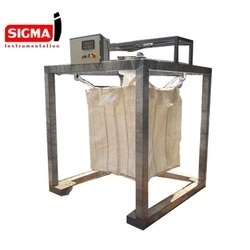 SIGMA Instrumentation group are busy in manufacturer of Jumbo Bagging System As per Customer Requirements. 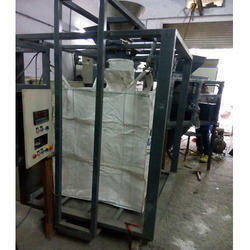 Machine Pack 10 to 12 bag depend on density of material. 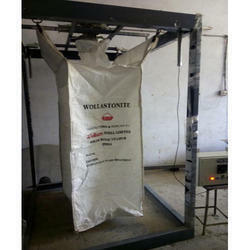 Machine Size Approx 5 ft x 5 ft . Machine Height :- depend on size of bag. Machine Febricate : Contact part S.S. and other Part M.S. Machine use for Fertilizer packing, Chemical Industries, Fly Ash , Gaur Gum Industries, Plastic Granuales and Many more. We have established ourselves as a leading organization which is engaged in manufacturing, supplying and exporting a commendable range of Jumbo Bag Packing Machine. Offered product is suitable for wide industrial applications and acclaimed by the patrons for its high efficiency, low maintenance and rigid construction. We design this machine as per the specifications given by the clients so as to ensure its quality and perfectly meet their expectations. Aiming at fulfillment of our clients' requirements of our clients, we are offering them a wide range of Guar Gum Powder Packing Machine. We are backed by highly diligent team of professionals which enables us to design the offered product as per the ever-changing demands of our clients. Being the leading names in the industry we are involved in offering a wide range of Jumbo Bagging Machine. These are made using the best raw materials available in the market to render maximum client satisfaction. Offered products are stringently tested on various parameters by our quality controllers before they are dispatched. Moreover, if require these are integrated with inflation fan and dust extraction system of best quality. With assistance of our diligent professionals, we have been able to provide a wide range of Jumbo Bag Filling Machine to the customers. We designed this machine as per the specifications laid by our professionals. Ultra-grade raw material sourced from the leading vendors, is used in order to design this product. It is highly demanded in the market and offered to the clients at market leading price range. 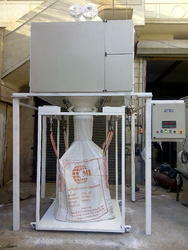 We are manufacturing of big bag filling system 300 kg to 2000 kg bag capacity with unloading systems. System used are minerals industries, chemical industries,gaur gum powder, fertilizer industry, plastic granule industries and many other industries for domestic and export purpose. 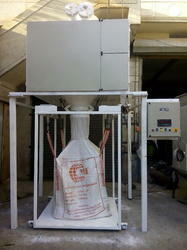 The Sigma Automation (Automatic Discharge and Weighing System) is used to discharge the powder material into big-bags. The system provides automatic control of the (Jumbo Bag Filling) big-bag filling process. 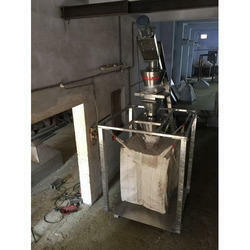 This Machine also known as a Big Bag Filling System or Jumbo Bag Filling Systems. We offer for customer from all over India for this product. Machine also known as a Big bag filling Or FIBC Bag filling Machine. 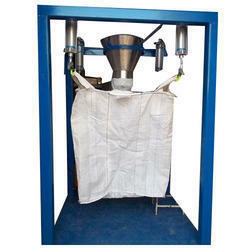 Our Big Bag Filling Machine are also know as Jumbo Bagging System and Bag Filling Machines . 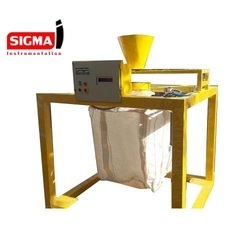 Big Bag Filling Machine are Sigma Instrumentation to fill material which are difficult to handle. This high precision weighing is coupled with a truncated pyramid table with high power vibrators. These filling machine are available as per the client requirement. Speed: 5-10 Bags/hr(Depends on product nature). Contact parts: Mild Steel/SS 304/SS 316 as per client require.